Chalkidiki or Halkidiki as some know it is a three-pronged peninsula, located in Northern Greece, roughly in the center of Macedonia. 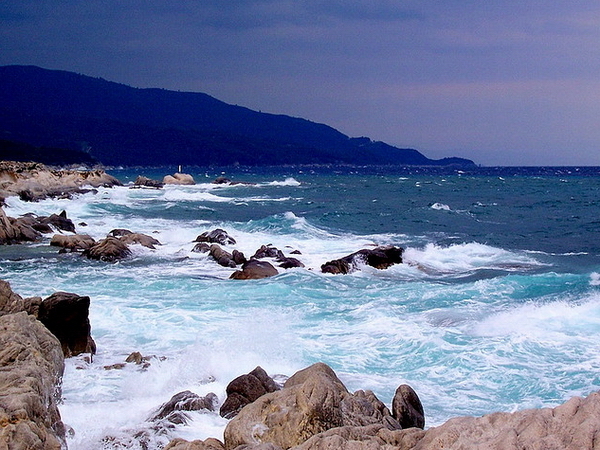 To the North it shares borders with the prefecture of Thessaloniki the country's second largest city. To the South, East and West Chalkidiki juts into the Aegean Sea.. 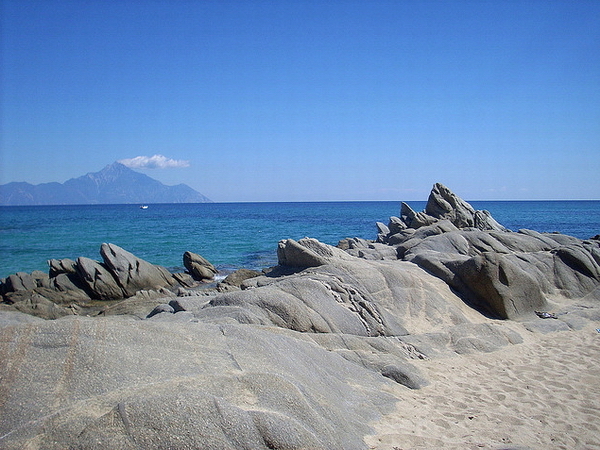 The main peninsula terminates in three smaller ones, namely Kassandra, Sithonia and Mount Athos, well known as the Holy Mountain (an independent administrative district). Its winding coastline is marked by four sizeable gulfs - the Thermaic Gulf to the west, the Gulf of Orfanou to the east as well as the Gulf of Toroni and the Mt Athos Gulf in the south. According to latest statistical data of the National Statistical Services, Chalkidiki has a population of about 80,000 inhabitants. The capital city is Polygyros. The vast majority of the locals are Christian Orthodox and the currency is Euro since 1 January 2001. 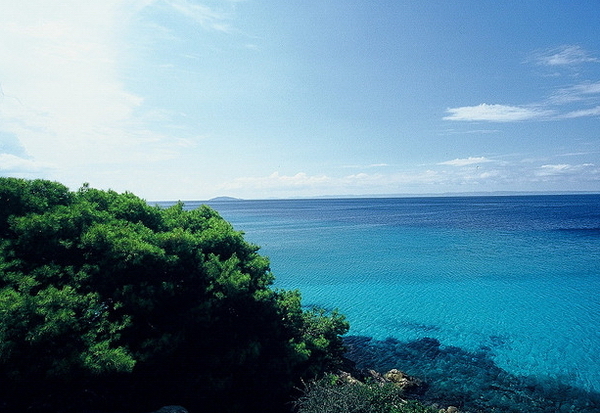 The prefecture of Chalkidiki covers an area of 2,886 sq km. 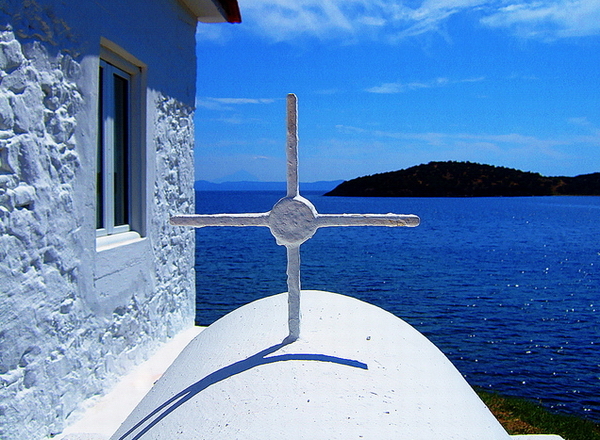 It's special shape resembles a trident piercing the Aegean. 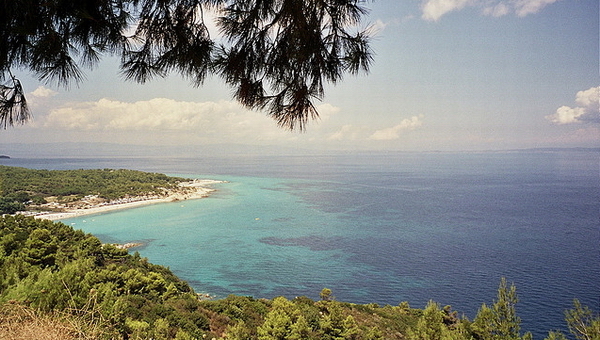 Due to the area's geomorphology, Chalkidiki has the longest stretch of coastline in mainland Greece, estimated to be more than 500 km of sandy beaches and attractive bays. To the north of the coastal region the country becomes mountainous. 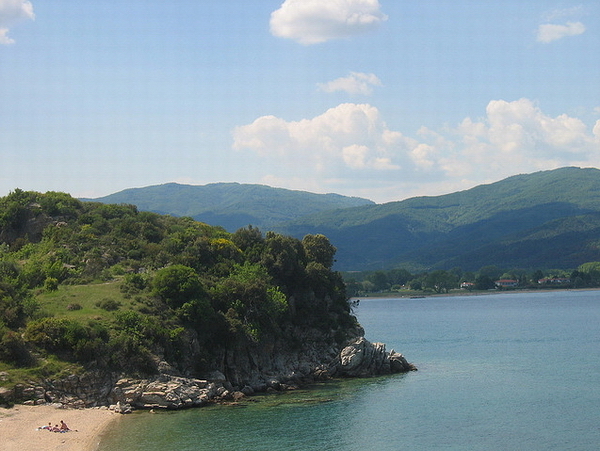 In the center of the prefecture lies Mount Holomodas or Holomontas (Holomon) (1165 m) and at the eastern lies Mount Athos (2033m). 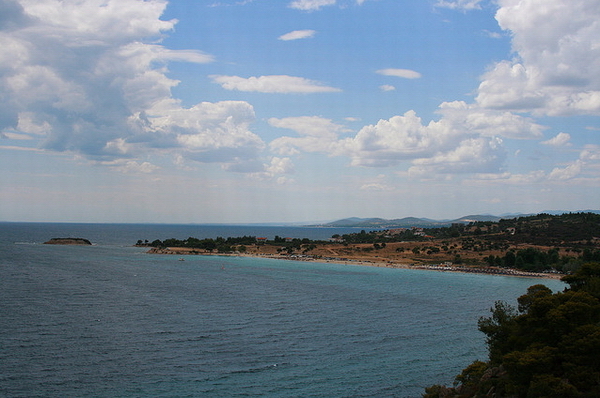 Recently, Chalkidiki was divided in 14 municipalities. 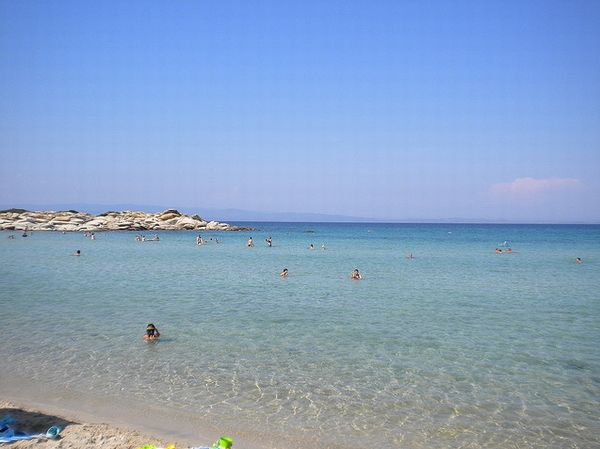 Chalkidiki can be easily accessed by car and bus, with regular bus schedules. 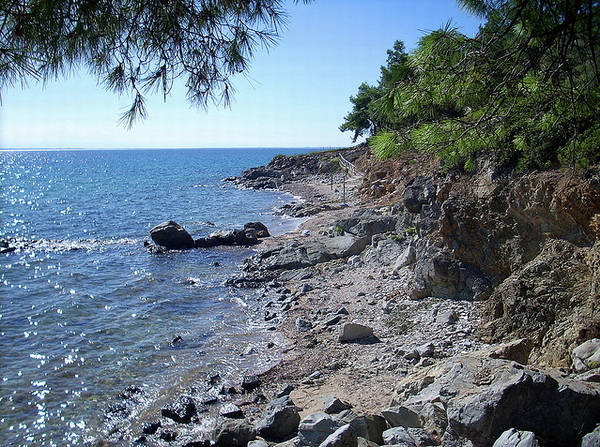 It is also very close to Thessaloniki (60 km) and the airport Macedonia. The road network is among the best in Northern Greece. 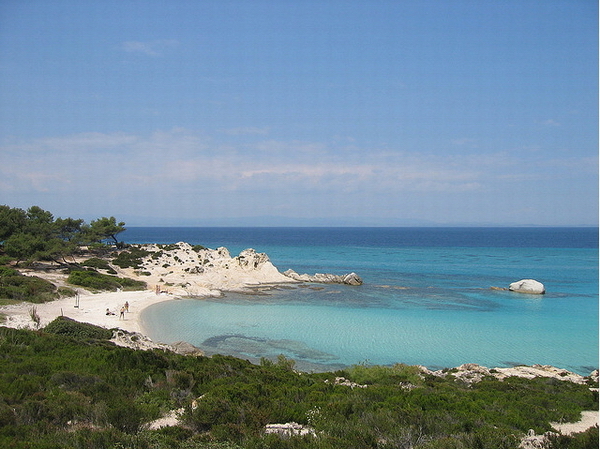 The climate in Chalkidiki is generally mild with limited rainfall whilst sunshine and warm summers are well known. It enjoys over 300 days or around 3,000 hours of sunshine on average annually. In the northern part of the area the number slightly decreases. Average temperatures display limited fluctuations during the year. Naturally, fluctuations are more vigorous from south to north. The lowest temperatures occur during December to February ranging between 3.5°C to 19°C, while highest temperatures occur during summer months and range between 23°C and 34°C. Temperatures below 0°C are limited in the mountainous areas. 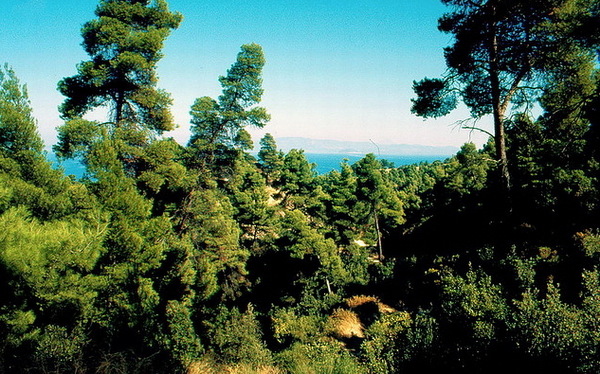 The whole region is heavily wooded with pines and olive trees, while inland there are vineyards and fertile farmlands. 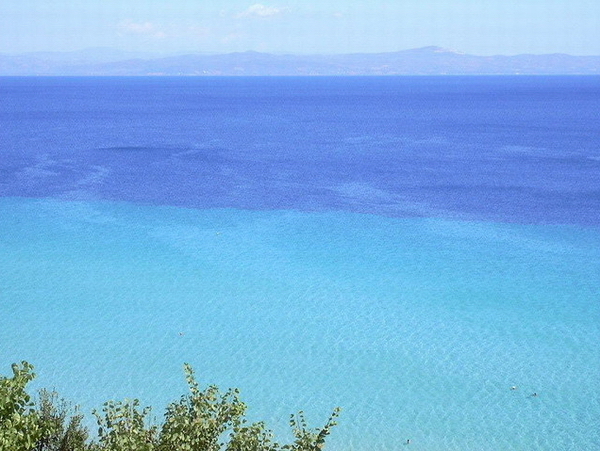 There are no rivers in Chalkidiki, which is said to be why the sea is so blue and clean (with 41 E.U. blue flags awards). 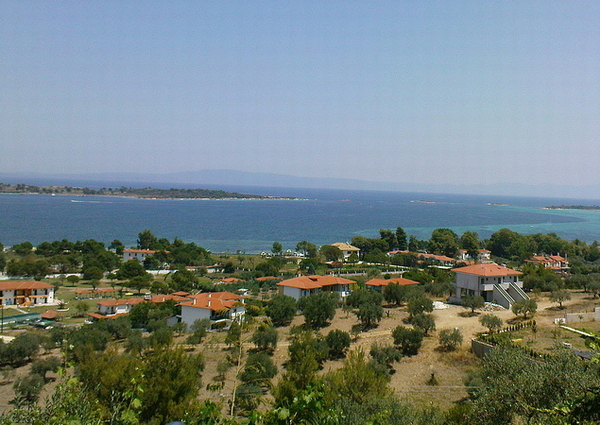 The chief occupations of the people of Chalkidiki are farming, fishing and tourism. The main farming products are wines, honey, olives and oil. 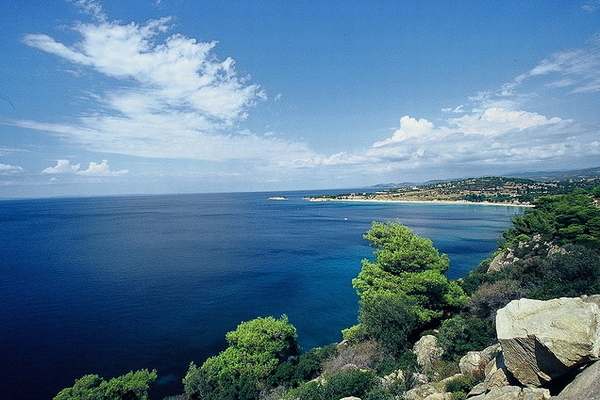 Rapid tourism development nationally, also affected Chalkidiki. By exploiting its resources, natural beauties, warm climate, culture and history it managed to develop tourism quite rapidly and is now established as a successful tourist destination. Tourist development started in the early '60s when the National Tourist Organisation (GNTO) built the so-called Xenia-Hotels, the first tourist installations. During the period 1968-1975 big tourist complexes were built in the further area. Supplementary, other forms of tourist enterprises and ancillary services were developed. Furthermore, Tour Operators discovered lately "Greece's secret paradise", an unspoiled primitive destination, uncrowded, interspersed landscape, and different from the already saturated Greek islands. As a result of this, tourist arrivals increased rapidly. 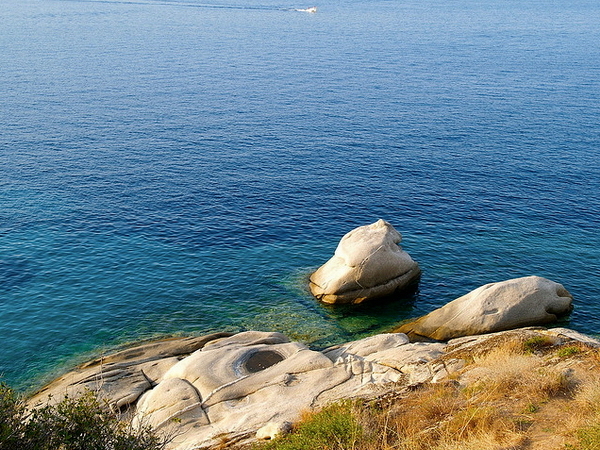 Nevertheless, Chalkidiki did not loose its character. Throughout, an effort has been made to develop tourist infrastructure and facilities that are in keeping with the natural surroundings. 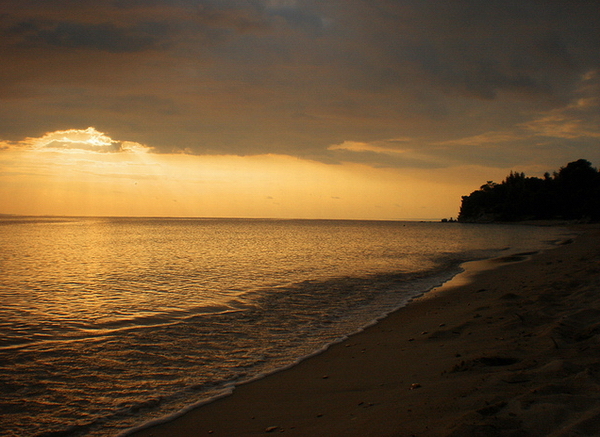 Rational tourism planning prevented environmental deterioration and entrepreneurs tried to make their resorts as appealing and as ecologically sound as possible. 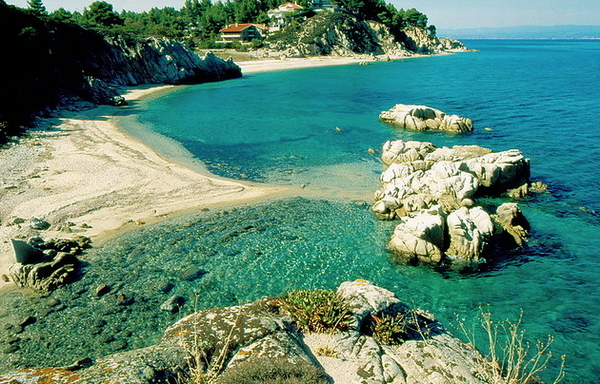 Chalkidiki is obviously an excellent choice for a relaxing holiday. Sunny golden beaches, deep and picturesque gulfs, traditional villages and modern tourist resorts, small islands and sheltered bays, rich history, competitive cultural heritage, and warm people, Mediterranean climate and magnificent natural beauty, this is today's Chalkidiki.